Evgenia Medvedeva, of Russia, skates during the exhibition program at the World Figure Skating Championships, Sunday, April 3, 2016, in Boston. 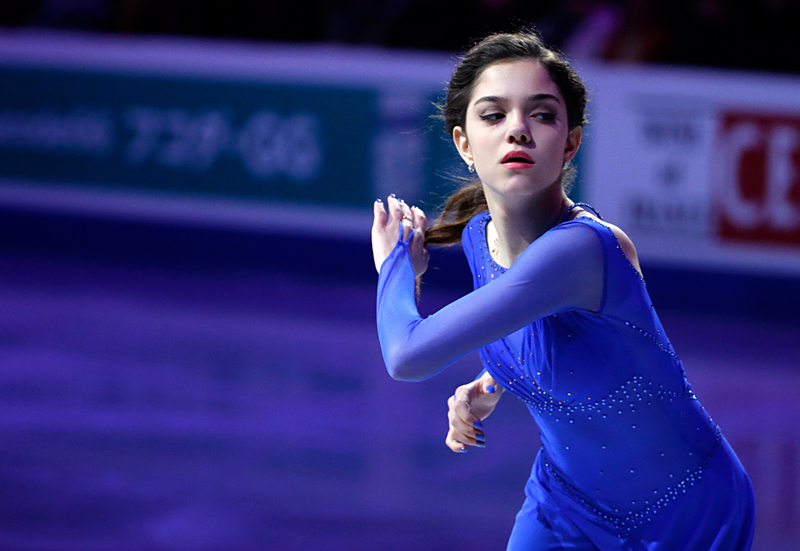 Russian figure skater Evgenia Medvedeva has won the fourth stage of the ISU Grand Prix series underway in France with a score of 221.54 points. She scored 143.02 points in free skate. Russia’s Maria Sotskova took the second place with 200.35 points, while Japan’s Wakaba Higuchi got the third place scoring 194.48 points. Russia’s Alena Leonova finished 11th with 141.36 points. The tournament in France will end on Nov. 13. Medvedeva’s victory in Paris made it possible for her to compete in the Grand Prix final stage, which will be held in Marseille on Dec. 8-11.